MBC drama “The King 2hearts” tells the story about the selfish prince Lee Jae ha (Lee Seung Gi), becoming the real king after experience growth and transformation. Although the drama’s background is based on fictional South Korean constitutional monarchy, but the drama also portrays the scenes of delicate relationship with North Korea, stake of powerful countries, and tries to represent capitalist through military holdings Club M to threaten and control which required to be solved by the king Lee Jae Ha. And the unsuccessful relationship of South Korea’s Lee Jae Ha and North Korea’s Kim Hang Ah (Ha Ji Won) is not because of trouble from third party or some placing obstacle in the way. But it’s because of grim reality that couldn’t be resisted and kept reminding. So when Lee Jae Ha ascended the throne of the king after the suddenly death of his brother, it indicates that the process of which he become a dignified and imposing king after going through hardships, is the process of realization of love between him and Hang Ah. The scene of North-South combined team discusses about battle plan after hitting a blow on the United States, and the scene of Lee Jae Ha tells the team member, “There is only failure if we can’t trust each other,” indicating that “The King 2 Hearts” is about enter a new chapter. The word of king which gave a great sense of burden, the king that fiddles around at will, constantly tossing Hang Ah forcing her to say “rubbish” in the end. How much progress he achieved during this period, will slowly unfold in front of viewers. “The King 2 Hearts” that was getting an overwhelming 20% ​​of audience ratings after the broadcast of 1st episode, and causing fear in the hearts of rivals, don’t know exactly when the viewership ratings start to fall into the last position. 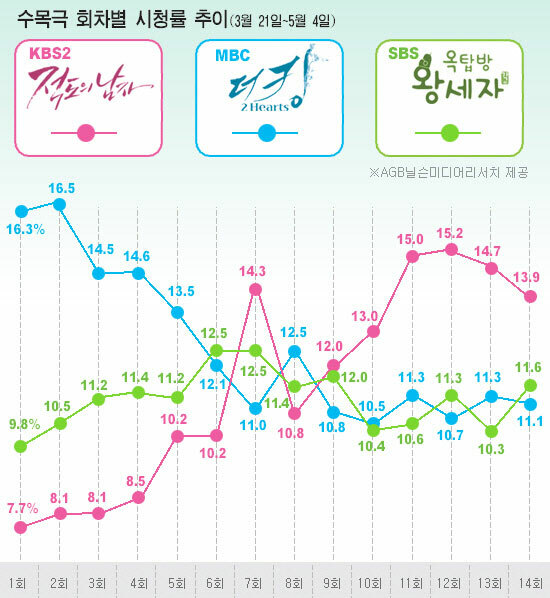 Somebody analyzed that it’s because the romance of lead characters is not resonating, that’s why the viewership ratings started to slide. 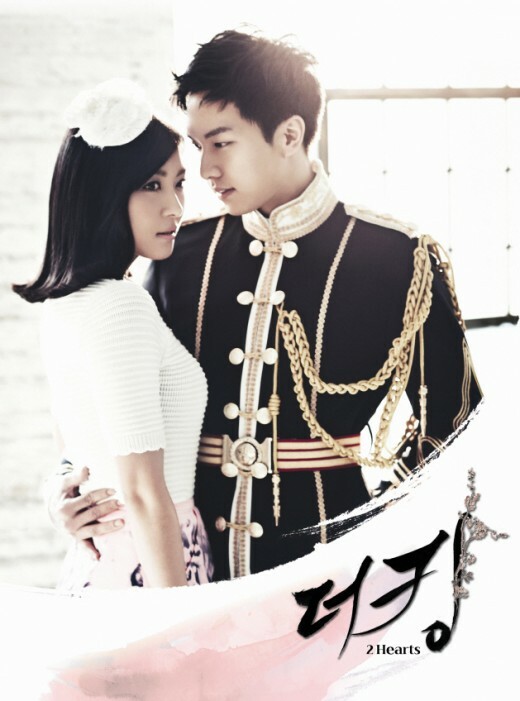 To viewers who are expecting the fictional love story of Lee Seung Gi and Ha Ji Won, this is somewhat disappointing. Lee Jae Ha who hides his true heart under the cover of selfishness, confessing to Kim Hang Ah his real feelings. That kind of Lee Jae Ha finally understands not to forget his responsibility when insulted, that’s the meaning of the protecting the self-esteem of the king. And although the feeling of two persons is not romantic, but there is more trust and determination. Decisively acting when needing to make decision, even more viscous domineering when facing with danger, very sincere in front of lover, that’s the amazing acting of Lee Seung Gi, and also the essential reason that “The King 2 Hearts” can happily counterattacks.